Xversion 1.1.7 – Elegant management of Subversion copies and repositories. Next story iExplorer 4.0.9.0 – View and transfer files on your iOS device. Previous story PPSSPP Gold 1.3.0 – A portable emulator of games for the PSP. 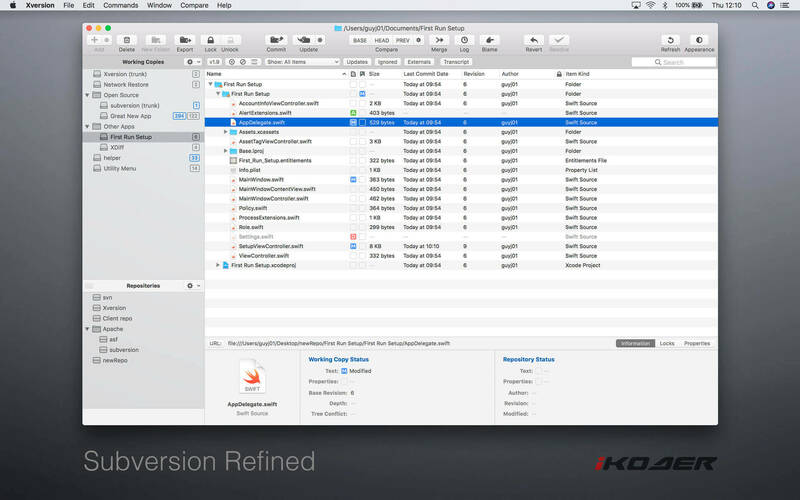 Cornerstone 2.7.18 – Feature-rich Subversion client.